Converts an Optical Connection From Standard to Mini in One Easy Step! 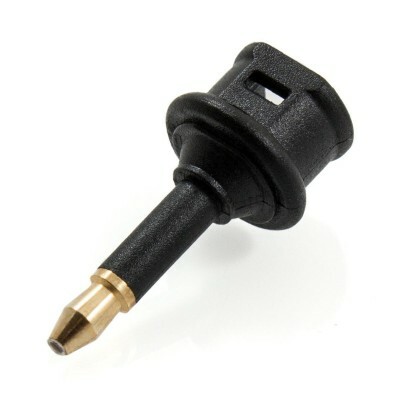 This adapter is perfect for seamless conversion between a standard a Optical connection and a 3.5mm Optical (Toslink) connection. 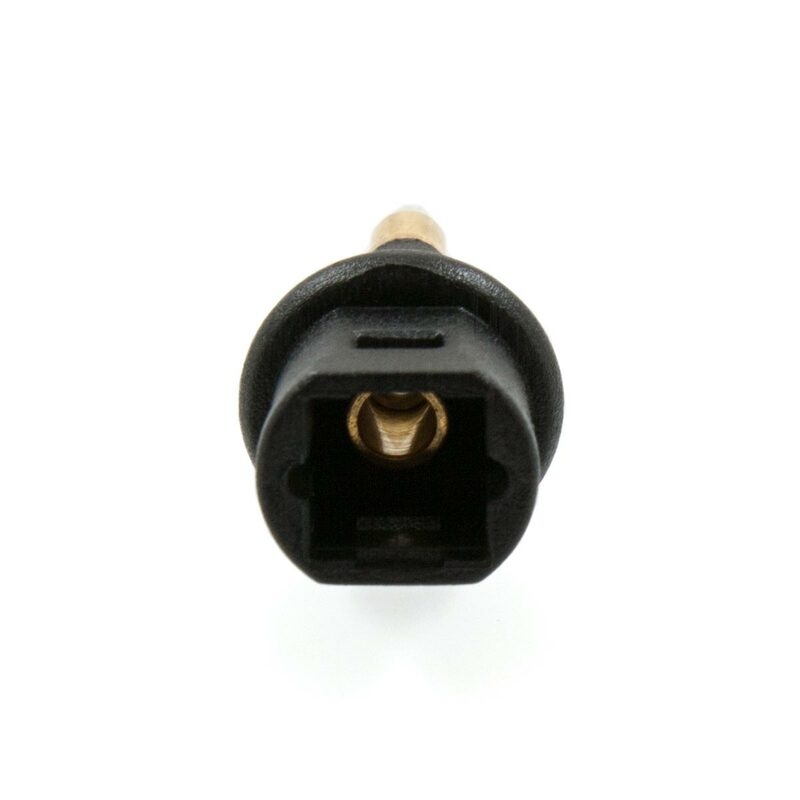 This could be required for devices such as laptops, Apple MacBook Pro, portable audio devices, Foxtel or any other S/PDIF digital audio connections that require the smaller 3.5mm connector type. 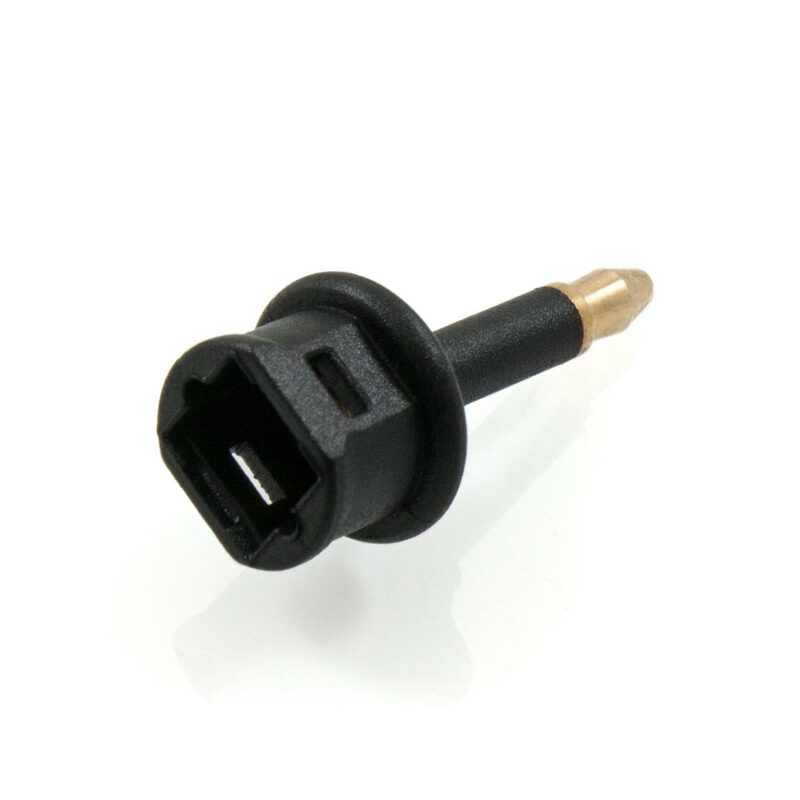 Using an adapter provides a high level of versatility as both the standard and mini optical connection can be conveniently selected as required. This also provides the ability to use a range of different cable lengths. Simply use any regular Optical Cable, then click this adapter over the standard connector. 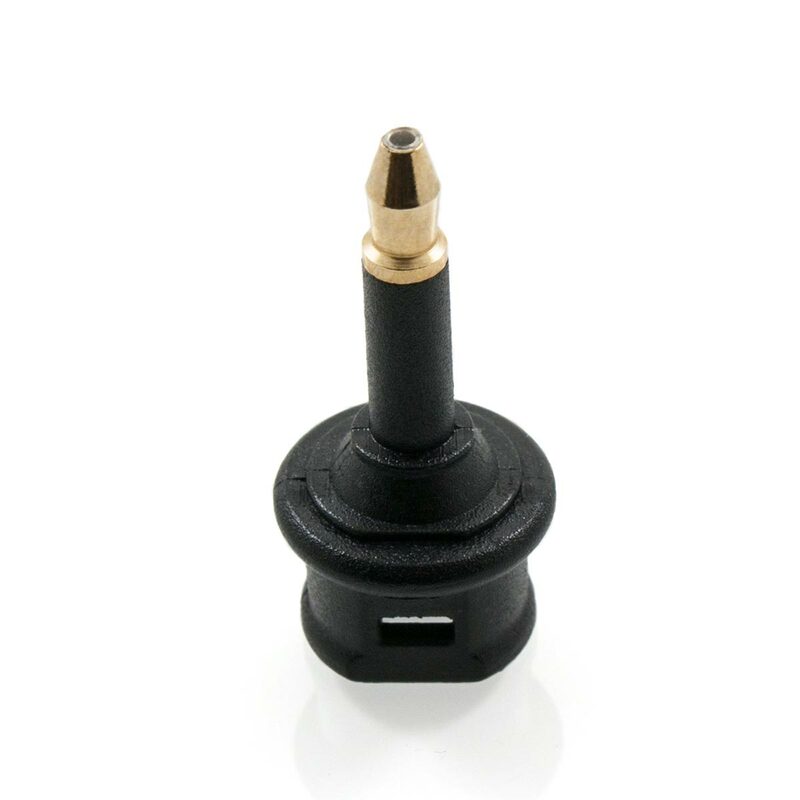 One end of the cable will instantly be converted into Mini Optical (Toslink) with absolutely no loss of quality.